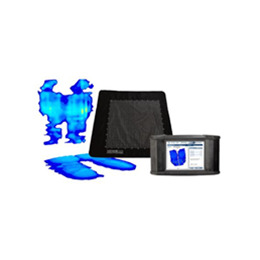 By XSENSOR® Technology Corporation - only available in the U.S. through ROHO®. For analysis of wheelchair seat surfaces when portability is required. The X3 Medical Seat Systems offer powerful analytic and reporting tools that are simple to use, and feature the PX/LX 100 sensor, the lightest, most flexible sensor on the market today. The sensors are also cleanable, eliminating the cost and hassle of disposable sleeves. Two models are available -- the X3 Medical Seat System, which connects to your desktop, or the X3 DISPLAY Medical Seat System, which includes a handheld touchscreen display for total portability.